QuadLink is a unique product in the marketplace. 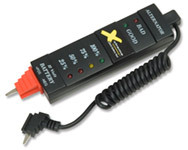 It gives any brand of 6-Volt or 12-Volt battery charger the ability to charge as many as 4 batteries simultaneously. Click here for more information. 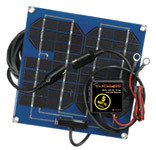 Charge, maintain and desulfate any 12V lead-acid battery (VRLA, AGM and flooded cell.) All of these chargers use a simple 'plug and play' technology and PulseTech's patented Pulse Technology that can extend battery life up to 5 times. Industrial strength chargers recover, charge and maintain 12V lead-acid batteries (VRLA, AGM and flooded cell). 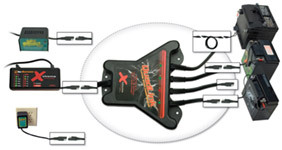 They include PulseTech's patented Pulse Technology and a state-of-the art 'plug and play' technology. PulseTech's solar panels have higher efficiency, higher quality crystalline silicone cells that pack more power per square inch than standard amorphous "thin film" solar cells, have a longer life and work with all 12V lead-acid batteries (VRLA, AGM and flooded cell.) All the solar panels also utilize our patented Pulse Technology to remove and prevent the buildup of damaging lead-sulfate deposits on battery plates in a non-harmful way, so a battery can accept, store and release maximum power all the time. These solar panels have higher efficiency, higher quality crystalline silicone cells that pack more power per square inch than standard amorphous "thin film" solar cells, have a longer life and work with all 24V lead-acid batteries (VRLA, AGM and flooded cell.) All the solar panels also utilize our patented Pulse Technology which helps clean batteries of sulfation build up so they can accept, store and release maximum power all the time. 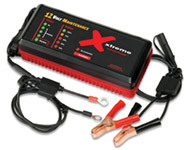 Understand the state of 6V and 12V batteries and 12V and 24V charging systems quickly, safely and efficiently.